Simply beautiful. Love those brunneras. Happy GBBD. Oh dear Sue, why did they not live up to expectations ? Usually they are so reliable. They are such pathetic specimens - maybe they don't like the plot - possible chance of clubroot. 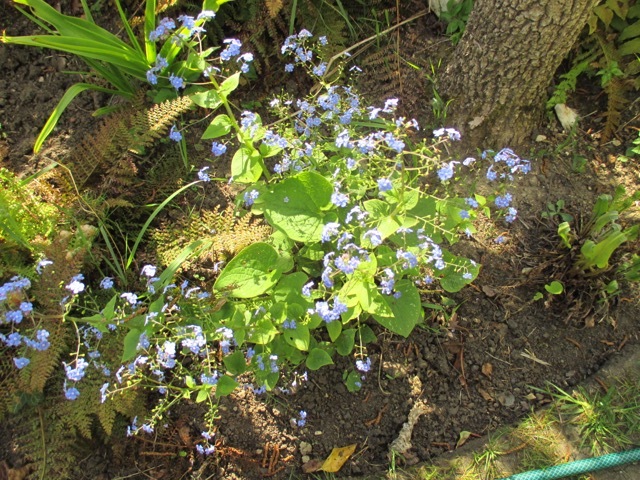 There was a brunnera already planted here and I moved it. It is doing really well. I want to grow the erysimums! 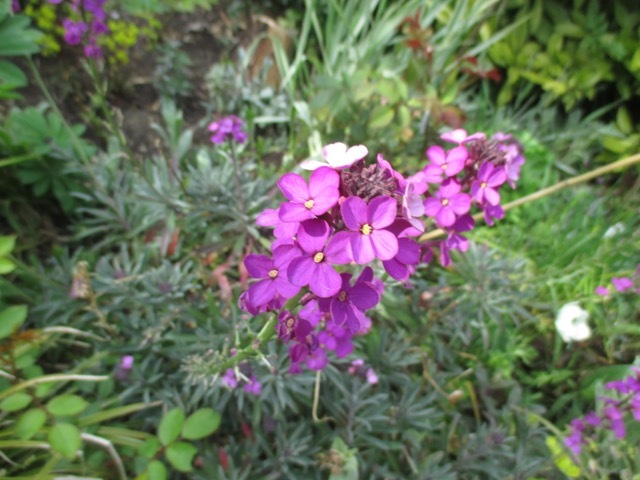 Erysimums are lovely and easy to grow, and very undemanding once planted. They flower for longer than anything else in the garden. 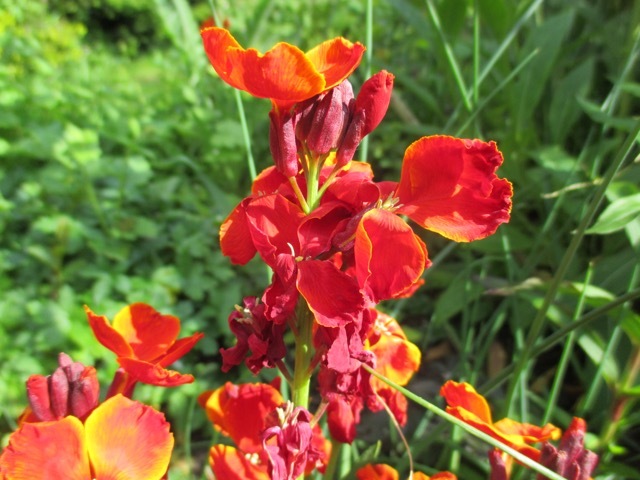 Excellent post about the plants you can rely on ... plus, they're beautiful! Thank you PP ! The divas come and go, but the little work horses are quietly out there doing their thing! Brunneras are wonderful. I have used them in very modern planting as well as part of a more traditional scheme and they work their magic in both. Thank you for the reminder to get around to biennial sowings. I always forget in the frenzy of planting out tender plants. 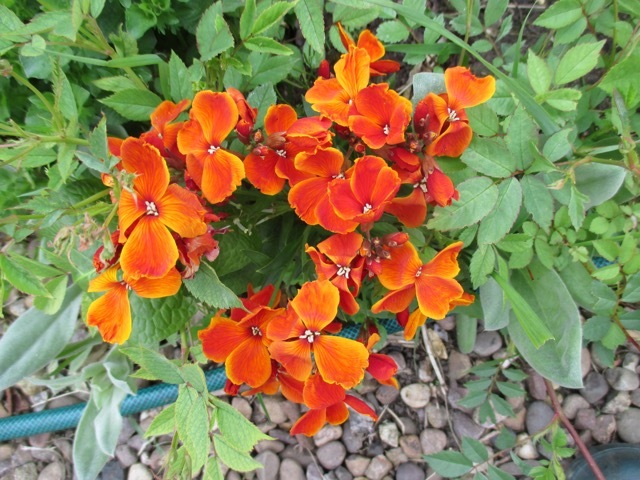 I think I must grow some Erysimums for my sunset border, they are just the right colours. 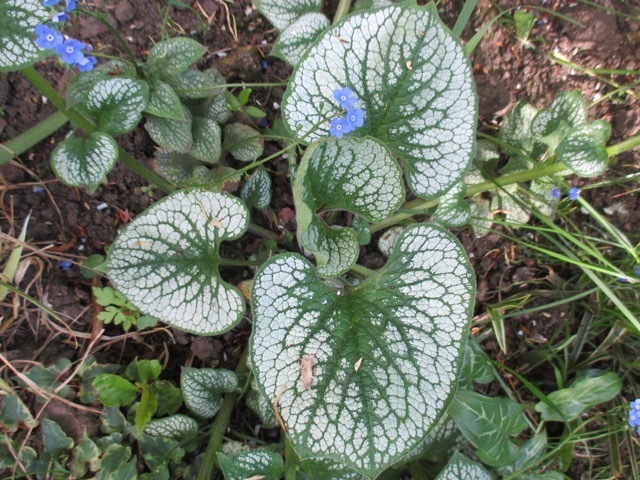 I love Brunnera too, mine are now seeding about, most are coming true and I have so much shade for them to colonise. Hi Jane, I can't believe I'm just getting to read my favorite blogs! The garden keeps calling me and tiring me out. 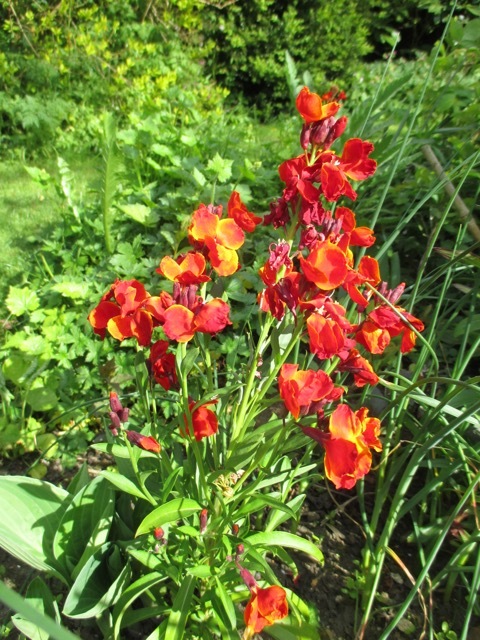 You have so many beautiful Wallflowers! I've never paid much attention to them but, I will now. Forget me nots are a favorite and they fill in nicely when the garden needs it most. This is the most fun time of year! I need more brunneras. Such beautiful foliage, and that froth of orange blue flowers is entrancing. 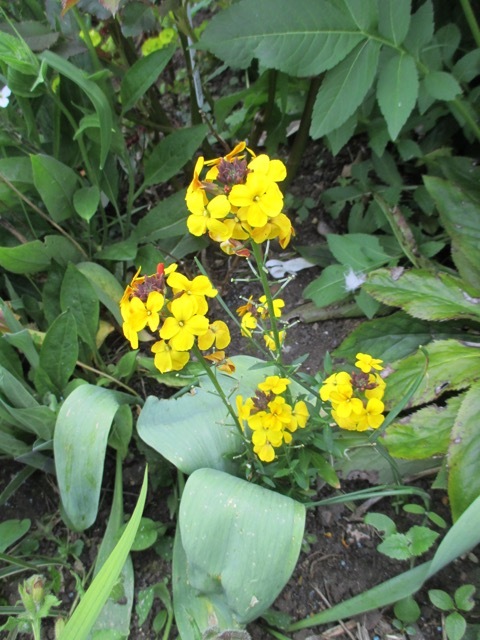 I'm a big fan of perennial wallflowers too, though I find some get left almost instantaneous. I have read a to about planting then slightly deeper than they grew in the pot for stability, do you do b this? Where would we be without the reliable stalwarts that just get on with it. Among the tallest of all alliums, achieving 4 feet or more, is alliums Mount Everest with its substantial grapefruit measured bloom heads. Its ivory white florets appear well against the darker foliage of a yew support or among other brighter hues. Kicking at its heels is lilac purple alliums, with profound purple sensation, and globe expert, at 90cm, not far behind. 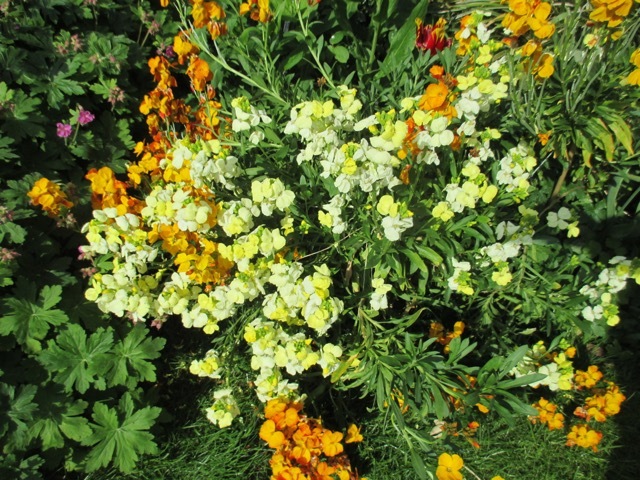 Wallflowers are pretty rare in the US. You can buy seeds but never plants. I've wanted to grow them after I saw them in a French garden one year. 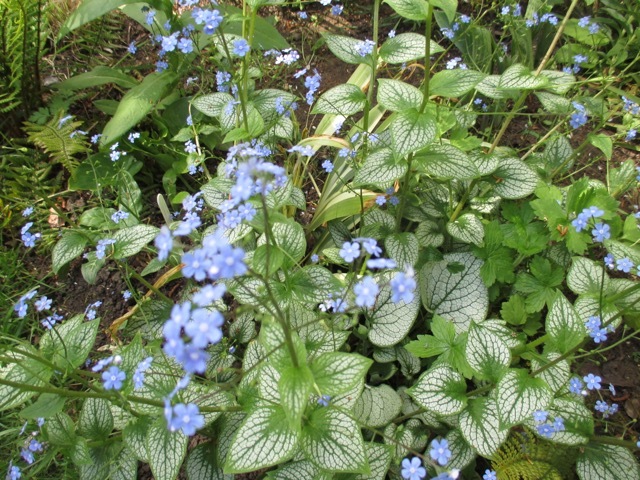 I agree with you about Brunnera - great plant!